Tourist residence on the Côte d'Amour, in Pornichet. 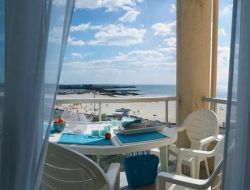 Enjoy walks on the Bay of La Baule-Pornichet stretching over 7km. This 6-storey residence with lift is located opposite the beach. It has direct access to the thalassotherapy center Daniel Jouvance. Shops are 600 m.
Charming holiday home in tufa, situated in Saumur, with small enclosed garden, pergola, exceptional view on the Loire, in a region classified by UNESCO. 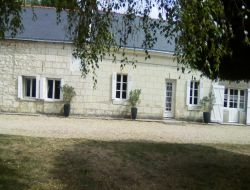 Ideal gite to visit the castles of the Loire. We can go by walk up to the castle of Saumur by following the street of Mills which overhangs the Loire. The historic center is in 20mn of walking along the Loire, also accessible by cycle track. Holiday cottage near the Puy du Fou: detached house on one level, close to the owner's house, located in a small hamlet 500 m from the village center, including a kitchen, a living room opening onto a terrace and the garden, 4 bedrooms, large partly shaded land. In 200m from the Loire, rent of an independent holiday cottage of 100m² close to Saumur (10km) and in 3km from Montsoreau with it's market and antiquities... Country house with courtyard and walled garden, quiet and pleasant, nearby all shops. 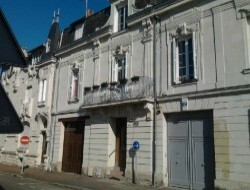 Holiday rentals in Saumur, quiet in the heart of the Loire Valley near the shops. A new studio for 2 persons furnished comfortable on ground floor and apartment T2 new comfortably furnished on the 1st floor for 4 people. Possibility of contact if family. Small courtyard, recreation and many visits there and in surrounding areas. A real ship, moored on the river " La Sèvre Nantaise", the Mill of Charrueau welcomes you in couple, in family or between friends. Holiday cottage for 2 to 6 persons. Come to take advantage of this place with a fantastic view, in front of a departmental park dedicated to the walk. 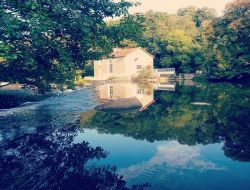 Come to devote to the fishing and to take advantage of numerous hiking trails. 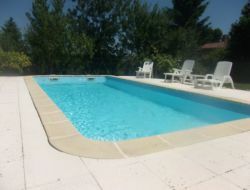 Holiday cottage with pool, equipped for 8 people, in the countryside in the South Vendee, calm, space and nature. Ideal for a family holidays. Fontenay le Comte is 15 km away, the Marais Poitevin 20 minutes away, the beach at 1h, the Puy du Fou and La Rochelle at 1h10, ... What happiness in all simplicity! Gite for pers 4 in the countryside with farm animals, situated near the residence of the owners with an independent access, garden and garage. 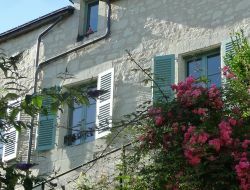 Holiday cottage in 5km from shops and hypermarket, in 40km from les Sables d'Olonne, Le Puy du Fou, La Rochelle and the Marais Poitevin. 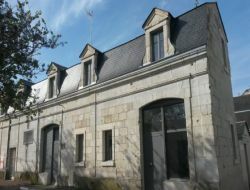 Rental of 2 cottages labeled Gites de France (4 and 5 people) quiet located on the island of Offard 5 minutes from the center of Saumur close to the banks of the Loire and the historic center. Town house with upstairs each 2 bedrooms and ground floor living room with tv, kitchen. Wireless. La Chapelle aux Choux ? 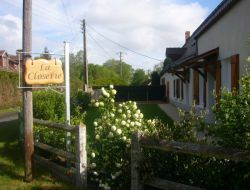 small vilage bordering the Touraine where the closerie is located in a small hamlet "Le Fresne". This old renovated farmhouse with a surface of 125m², surrounded by a garden of 1200m², welcomes you in a green and quiet environment conducive at family gatherings or WE with friends.